I was meandering through my local Nordstrom the other day. I happen to peak over at a Chanel counter expecting to see their recent winter collection display. What I see instead is their new collection for spring. Spring!?! Looking at new makeup for spring, while wearing three layers of clothes for warmth; seemed like a cruel joke. Never mind it isn’t Christmas yet. If you’re a fan of deep purples and pinks, then you’re in luck. The collection repeats the purple and pink theme throughout the new eye shadow quad, eye shadow duo, cream shadows, lip products and polish. I found the repetitive color scheme with the shadows a bit boring, but it’s still a collection worth checking out. 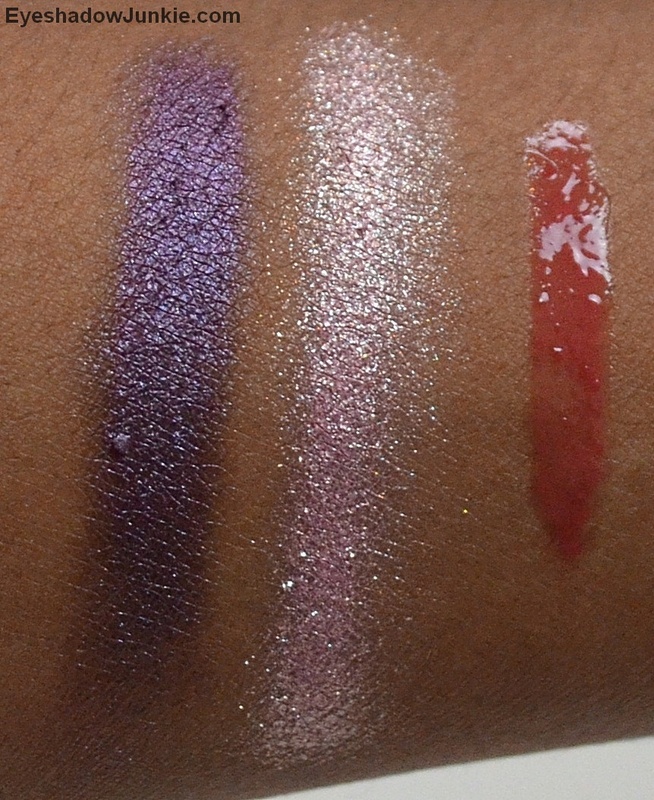 The two new Illusion D’Ombre immediately got my attention. I swatched them and had to have them in my life. Diapason (#92) is an opaque, deep blue-based purple with a slight blue iridescent quality. (Click here for a comparison of Diapason with Chanel’s Illusoire.) 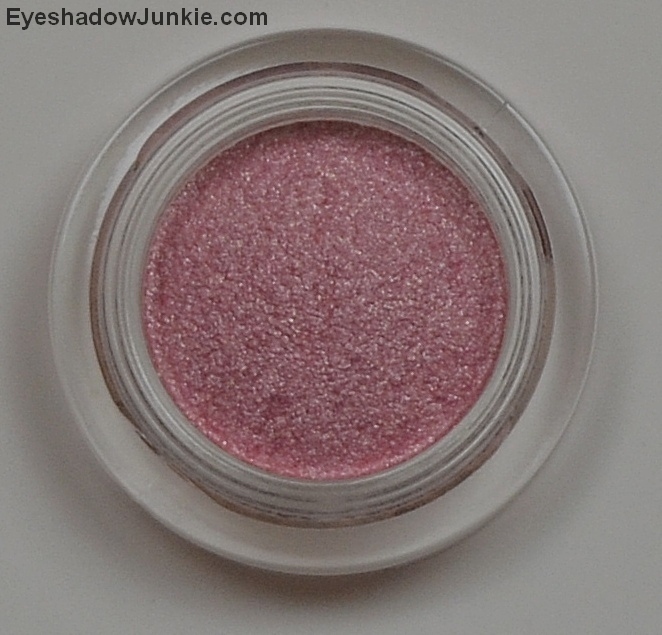 Impulsion (#93) is a semi-opaque, sparkly, pale cool pink. 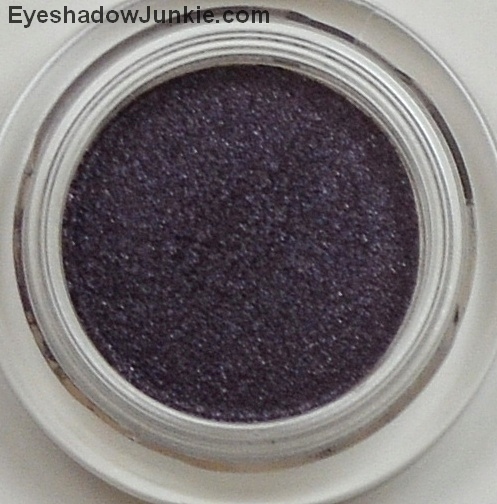 The intensity is buildable, but to me, a sheer wash of this color is very pretty. There are two new Glossimer glosses and I picked up Sonate (#178). Sonate is a beauty, semi-sheer, reddened coral. The right coral is hard for me to find because of my NC45 skin and even darker lips. It comes across sheerer on me, but it is the perfect amount of a lovely coral shines through. It will be a nice shade to wear when real spring gets here…in five months. I’ve never had any fading or creasing with IIllusion D’Ombre. They apply better with fingers. If a thick layer is applied, you may experience fallout. 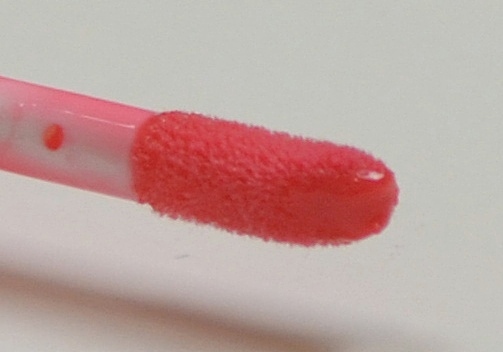 Glossimers are typically sheer and don’t last too long when used alone, but are great when layered over lip liner or a lip stick. The collection is available online and in stores. Illusion D’Ombre retails for $36 and the Glossimer for $29.50.